A live brief set by M&S. I had to pick 4 pieces of criteria to follow out of a hat. I chose a range of 4 waters, artisan, photography and 6 colours. Below are the front and back labels as well as the lid stickers for my artisan range of children’s waters. (My interpretation of artisan is kind of ‘hand-made’) Each drink represents a different season, through colour, imagery (animal) and flavour. 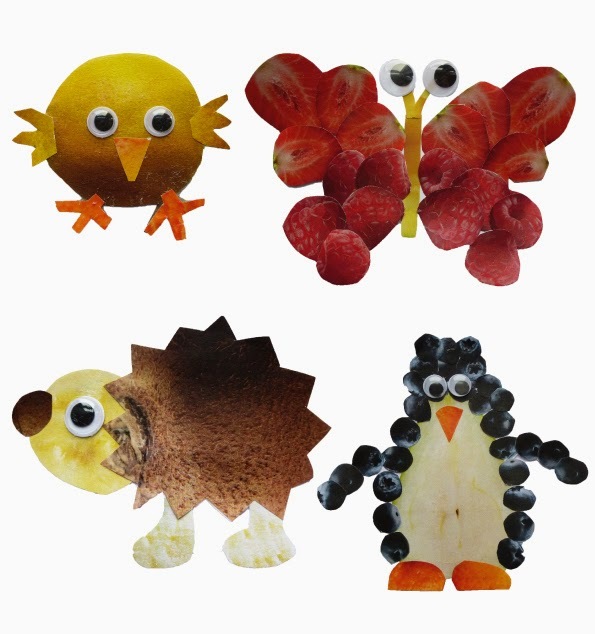 The animals are suited to each season and are constructed out of the fruit flavours of the drink. I used red yellow green and blue as the backgrounds and chose to suit the specific seasons. I did this because I wanted the drinks to be fairly gender neutral rather than using pinks etc. The typeface is a fun bouncy one, suitable for children. 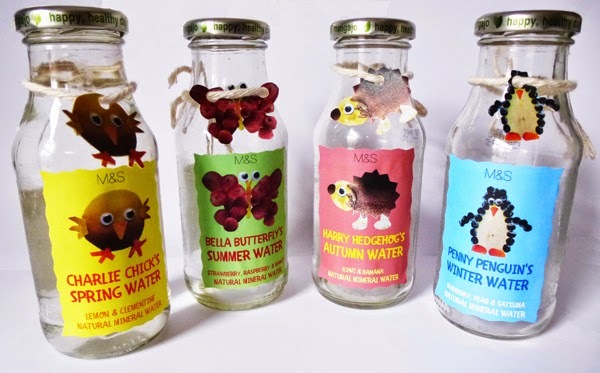 I named the animals on the drink using alliteration, I felt this suited the child audience, animals are often named on products for children, and it means they are easier to remember and engage them too. For the front and back labels I used the zig zag scissors approach, felt it became more fun and suitable for children. Although these are for children and are made in a glass bottle, these are only to be sold in the M&S cafe. The children will be accompanied with a responsible adult at all times, and are provided with a beaker to drink from with the animals on. If this range was to be successful M&S could think about making the range in plastic for children to also enjoy on the go! 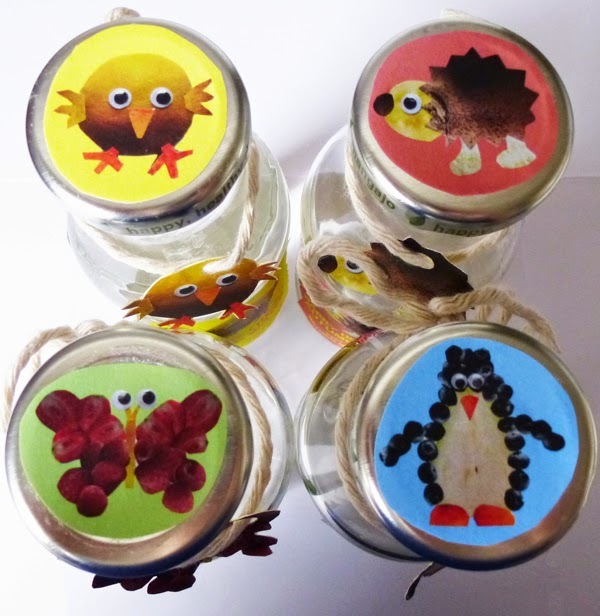 The lid shots are also shown, the children may want to collect their favourite lids. 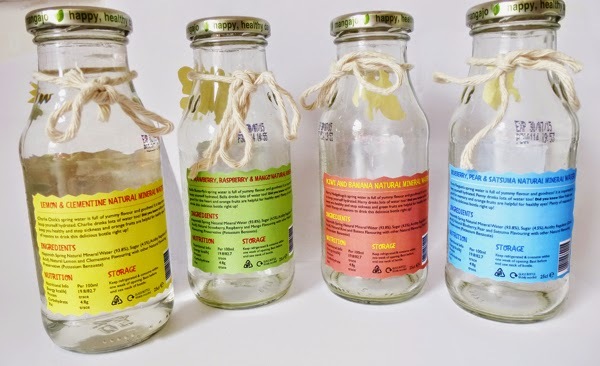 With each label, lid and tag being hand crafted every bottle is unique, this is particularly important with this water being an artisan product. The back labels contain the information most drinks legally have to show such as nutrition and ingredients etc. Although these may not seem at all relevant to children it is a requirement and parents also like to keep an eye on that kind of thing and ensure their children are healthy particularly M&S parents! The little description includes a few facts about the benefits of the fruits they contain in their drink, and provides a learning factor for the children. 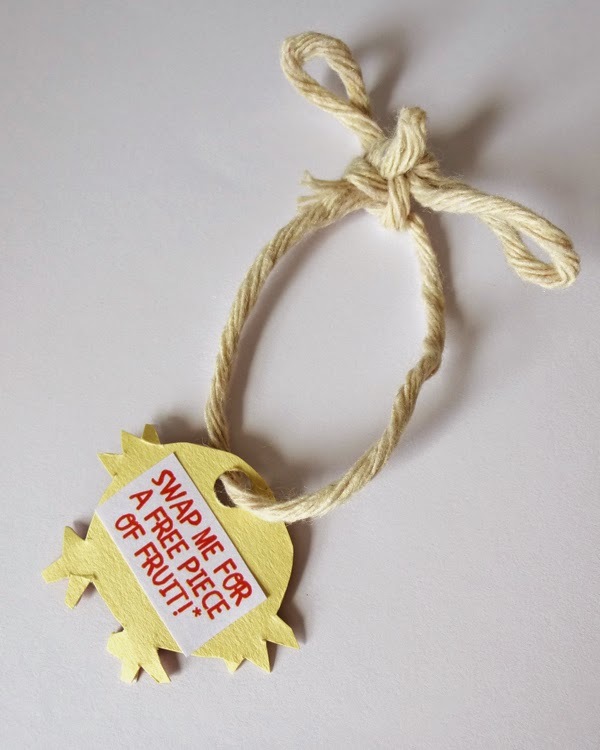 The little tags wrapped around the bottles can be used to exchange for a piece of free fruit in the cafe. Or they can be kept if the children wish! I think it is vital to encourage children to eat more fruit / vegetables. Previous Post My Lush Haul! Next Post 21 Problems Short Girls Encounter On A Daily Basis! These are so cute, not just a pretty face! The tag is a brilliant idea too, encouraging healthy eating in kids is always a thumbs up! love these deigns! so cute, my cousins kids would love them!